Figure 1.9. 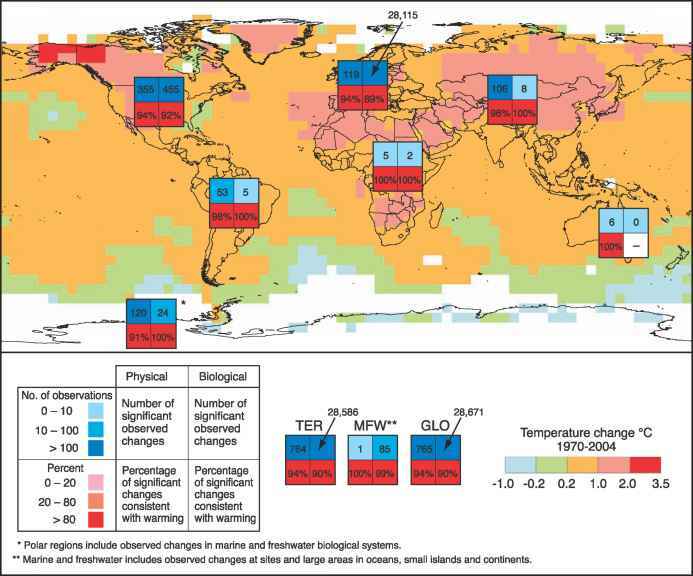 Changes in physical and biological systems and surface temperature. Background shading and the key at the bottom right show changes in gridded surface temperatures over the period 1970 to 2004 (from the GHCN-ERSST dataset). The 2x2 boxes show the total number of data series with significant changes (top row) and the percentage of those consistent with warming (bottom row) for (i) continental regions; North America, Latin America, Europe, Africa, Asia, Australia and New Zealand, and Polar Regions; and (ii) global-scale: Terrestrial (TER), Marine and Freshwater (MFW), and Global (GLO). 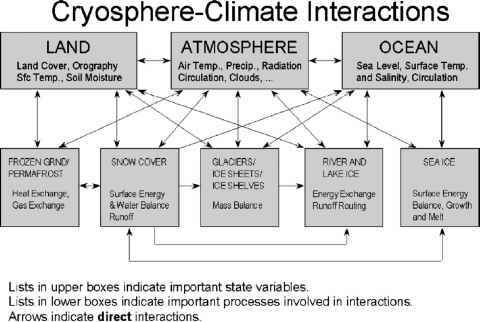 The numbers of studies from the seven regional boxes do not add up to the global totals because numbers from regions except Polar do not include the numbers related to Marine and Freshwater systems. White areas do not contain sufficient observational climate data to estimate a temperature trend.